How to become like – DAVID the man after God’s own heart? Sermon Notes of Pastor Djohan Handojo, Sunday, 11 January 2015, summarized by Sister Stella Ho and Brother Gilbert Khoo. God gives a theme and He will do it. Be faithful to God to be entrusted in larger capacity in the Kingdom of God. 2015 The year of Multiplied miracles. Prophet Samuel was sent to Bethlehem to anoint one of Jesse’s son while Saul was still ruling to be the next king of Israel. God does not look at our appearance and performance but He looks at our heart our inner man our spirit mind and soul that is the real us. 1. He knew God intimately. He didn’t kill King Saul even though he had the opportunity. Differences between David and Saul: Saul was rebellious; he sought witchcraft for solutions, unrepentant towards his mistakes. Learn from David although he was successful, yet he humbled himself before God. Tempted by the worldly success: -> Elvis Presley was on the top of his career and he succumbed to the temptation of this world. He started as a gospel singer and he became enslaved to this world drugs alcohol he died on 16 August 1977 for failing to nurture his inner man. He got so carried away with the fame and riches of this world. Nothing in this world could satisfy. A Swedish with no arms Lena Maria – a national swimmer athlete, a motivator, a book author, a singer. These examples proved that our inner man is much more important than our physical body. Be a person after God’s own heart. Jesus is more interested in our faith. Daniel’s daughter suffered diarrhea during holidays and even though she was given medication she developed fever 2 days later. He brought his daughter to the pediatrician but the daughter was diagnosed with infection of the throat instead. He was surprised but indeed the diagnosis was correct and his daughter was healed in 2 days. The doctor solved the root cause that lead to the infection. Jesus came gave a greater gift – the forgiveness of sins so that our relationship with God is restored. Only God can forgive sin. When we sin, we sinned against God. 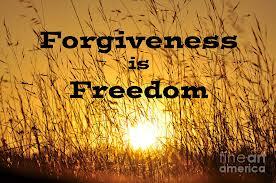 Only God can forgive sins and heal people. For it is impossible for man to forgive or to heal. GOAL is forgiveness, GIFT is healing. FOCUS on the GOAL, not the GIFT. Many of us today are so focus on the GIFT but forget the GOAL. Keep your eyes on God. Focus on the Giver not the Gift. God’s Word has authority. Everything that God said was accomplished. Example story of the centurion. There is an authority in the word of the centurion. What he says, the soldiers will follow. He believed Jesus had the authority. All he did was to ask Jesus to speak a Word for the healing of his servant. Even if you have not experience the blessings or healing, just trust in His love. Story of the Allied soldiers in the Japanese concentration camp. They have to ensure their tools are complete after the hard labor each day. One day, the Japanese captain called the allied prisoners out and informed them that one tool is missing and if the culprit does not confess it, the whole group will die. Finally, one man stood up and he confessed. He was immediately shot dead. His comrades were angry why they had to go through the betrayal of the comrade who almost caused them to lose their lives. Suddenly one of the Japanese soldiers came in and informed the captain that they miscalculated and the tools are in fact complete. On hearing this, the prisoners understood that their comrade had in fact step forward to prevent his other comrades from dying. Jesus took our sins on the cross. Jesus had to die on the cross so that our sins can be forgiven. It was a heavy penalty but Jesus paid in full with His life.